Thomson Reuters has undertaken its annual survey into the cost of compliance and the challenges firms expect to face in the year ahead. Compliance professionals from more than 300 financial services firms, including most of the largest global systemically important financial institutions (G-SIFIs), took part. The report builds on annual surveys of similar respondents conducted over the last seven years and, where relevant, highlights year-on-year trends and developments. The survey has become a voice for practitioners, and the concerns and views shared by participants have given them an insight into the challenges faced by their peers in all industry sectors. Thomson Reuters extends its thanks to all respondents, along with a continued assurance that the responses will remain confidential. As with previous survey reports, the findings are intended to help regulated firms with planning, resourcing and direction, and to allow them to benchmark their own practices and experiences to determine whether their resources, strategy and expectations are in line with those in the wider industry. The experiences of G-SIFIs are analysed where these can provide a sense of the approach being taken by the world's largest financial services firms. The responses show the breadth of the role and concerns of compliance officers. The red flag raised in last year's report about resource constraints is beginning to show signs of crystallizing with all firms, no matter what their size, highlighting a potential reduction in the resources available for compliance activities. · No let-up in change: Compliance officers are clearly still experiencing regulatory fatigue and overload in the face of constantly changing regulations. Consistent with the previous year's expectations, 69 percent of firms (70 percent in 2015) are expecting regulators to publish even more information in the coming year, with 26 percent expecting significantly more. · Tracking regulatory change: More than a third of firms continue to spend at least a whole day every week tracking and analysing regulatory change. There has been a gradual decline in firms spending more than 10 hours tracking change every week, whether due to efficiencies or resource constraints. That said, there has been no let-up in the volume of regulatory change that firms need to track. · Resource challenges: One of the major challenges firms face is the continued scarcity of skilled compliance personnel, forcing firms to do more with less and putting a focus on the development of existing staff. Consistent with 2015 results, two-thirds (67 percent) of firms overall are expecting senior staff to cost more in 2016, largely due to the demand for skilled staff and knowledge (84 percent), and the need for additional senior staff to manage volumes of regulatory requirements (59 percent). 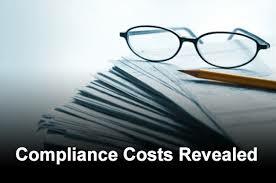 Of the G-SIFI firms, 83 percent expect skilled senior compliance staff to cost more. · Outsourcing: A quarter of firms have opted to outsource at least part of their compliance functionality. Two reasons cited are lack of in-house compliance skills and the need for additional assurance on compliance processes. · Focus on regulatory risk: In line with 2015, three-quarters of firms are expecting the focus on managing regulatory risk to increase in 2016. This is largely due to the greater regulatory demands on the management of conduct risk. For G-SIFIs, the main influence is the impact of harsher regulatory penalties. · Personal liability: In line with last year's results, 60 percent of respondents (59 percent in 2015) expect the personal liability of compliance officers to increase in the next 12 months, with 16 percent expecting a significant increase. Twenty-seven percent of G-SIFIs expect a significant increase in personal liability in 2016. · Technology and reporting: Technology presents a bigger challenge for compliance officers than ever before. The insight provided on challenges made it clear that the impact of technology is wide-ranging. Regulatory developments are driving technological change, with the remit of compliance broadening to cover cyber risks, as well as the assessment of new technology to help manage many aspects of firm-wide compliance. Additionally, there are an increasing number of information requests from regulators, which respondents identified as the overriding reason for an expected increase in liaison with regulators. Coordination between control functions: Over the seven years of the survey there has been little change in the reported interaction and alignment between control functions. Firms may be missing opportunities to leverage scarce resources with only half (50 percent) of compliance functions spending more than an hour each week with internal audit. Stacey English is head of regulatory intelligence and Susannah Hammond is a member of regulatory affairs team at Thomson Reuters Regulatory Intelligence.